I am SO thrilled you could stop by. My name is Elena, but you can call me Elle. Nutrition really is my thing. My practice and personal style may be a bit unconventional, but I think it’s important to keep it real! Listen, I understand the struggles and temptations that we all face every day (booze, chocolate, coffee, etc.) and so I am all about incorporating realistic lifestyle ideologies into both my own life and my practice. I’m the type of girl who likes to have her cake and eat it too… and so can you, if you do it strategically, mindfully and with control! Through my private coaching, I won’t tell you to ignore all the good things in life, but by sticking with me, you’ll learn how to live harmoniously… while achieving results! Let me show you how you can still look amazing, without having to sacrifice your social life… Now let’s toast to that! Wait… Hold the champagne… is this even possible? Well, I don’t believe in a one size fits all approach. Everybody is different. 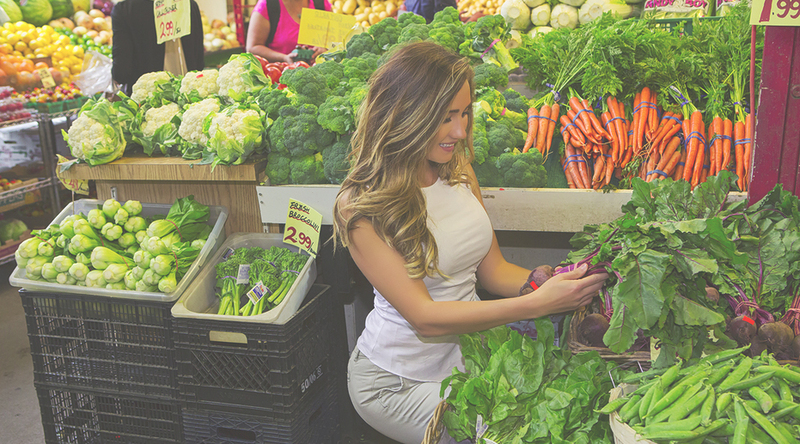 Holistic nutrition is all about assessing you as a whole person, which then allows me to tailor YOUR program to YOUR specific needs and goals –not someone else’s! Have you ever tried a diet, but failed to lose any weight? Have you ever exercised more, only to pack on pounds? Chances are you’re not tailoring your efforts in a way that’s right for YOUR body. Confused about all the health claims out there in mainstream media? How do you know what to even listen to? Like, is saturated fat good for you? Can nuts really help you to lose weight??? Well, I know WHAT REALLY WORKS and what doesn’t. I know which foods will help you – and which ones will sabotage your goals. …And OK, I’ll admit it; I am a bit of nerd… I love science, physiology and understanding how the human body works. Through my own personal journey, I have trained myself to heal and hack my own body using strategic techniques/tools, and I will show you how you can do it too. I will be your personal guide and navigate through this nutritional jungle with you. Thankfully, Elle’s program helped by providing me with the information I needed to understand how my current diet was contributing to my headaches and insomnia. The information she provided was eye-opening. Elle was able to be create a program that was very flexible and ‘user friendly.’ When it came to certain foods and beverages that I wished not to reduce, Elle was able to provide me with several alternatives that would support me in reaching my goal without missing my favourite things! The results were very exciting! I noticed visible improvement in my skin (a bonus!) and elevated energy levels upon waking in the morning. I noticed a reduction in my headaches and I slept much better. Overall, I found the experience to be very pleasant. I was expecting to struggle a lot trying to commit to making changes, but the process was actually quite smooth and obviously the results made it that much easier! Let me teach you how to get to know your body, control it and transform it – reaching your ultimate state of personal well-being both inside and out! I know this first hand, because it was only after I ditched these things myself that my own life changed and I began my own journey to “Ellevate” my life. From the age of 13, I suffered from body dysmorphia and did everything and anything to lose any extra fat I found on my small frame. I tried everything from constant yo-yo dieting, dabbling in every fad diet, taking risky workout supplements, to having a full blown eating disorder – all in the name of trying to live up to my own unrealistic expectations. All these things only sank me deeper into a dark hole of depression and added fuel to my anxiety. On the outside, I was told that I looked great… BUT inside I felt like CRAP and woke up in the morning feeling utterly exhausted and dreading the day ahead. Obviously, my hormones were all out of whack. My PMS was so bad that some days, I just couldn’t leave bed, although ironically I also suffered from insomnia. Specialists attempted to “regulate” my body and mask my issues using various prescriptions, but this only caused my issues to WORSEN! At 22, my skin looked lifeless and I suffered from constant breakouts (no surprise there). Add on top of all this, frequent migraines and digestive issues. It was inevitable that by 24 I broke down and literally had a quarter-life crises. I took a step back and looked at my life, and realized how un-holistically I had been living. I knew things had to change for me. This is when I decided to leave the comfort of my stable job in finance and regain my own health through an in-depth exploration and study of Holistic Nutrition. Through holistic nutrition, I found the balance that I had been searching for, I learned about how to take control over my own body, and obtain healthy results without causing harm. It’s this balance that I want to bring into your life. It took me far too long to discover how to feel good, and I don’t want you to experience the same lengthy wait. Contact me today to get a free 15-minute consultation to see if we’re a compatible match! Let’s Ellevate your life today! If you have any questions or comments, please get in touch with me through my contact form or e-mail me directly at [email protected].